When using my google reader to consume content, one problem that I run into sometimes is that there is just way too many posts to process at any given moment. 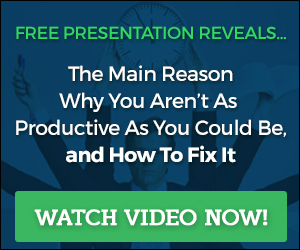 If you have this problem I have the solution for you. 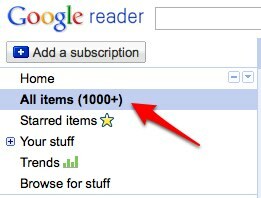 When you login to your google reader click the “All Items” option on the top left most corner of the page. Once you are there then use the “J” and “K” keys to move through your posts more efficiently instead of having to mess with your mouse. By following this process you can move through the content faster and only stop on content you really want to read or scan. I just recently found out about this trick and wanted to share it with you! If you like this post and want to make sure you don’t miss any further content please subscribe via RSS or by E-mail. The Bottom Line: Using the “J” and “K” keys on your keyboard when going through your Google Reader is the best most efficient way to process many blog posts all at once.